LCWA recently won three IABC Chicago Bronze Quill Awards for our programs for Trex and Boise Paper, as well as our American Academy of Sleep Medicine “Sleep Recharges You” campaign, which was designed to promote the importance of healthy sleep among teenagers. 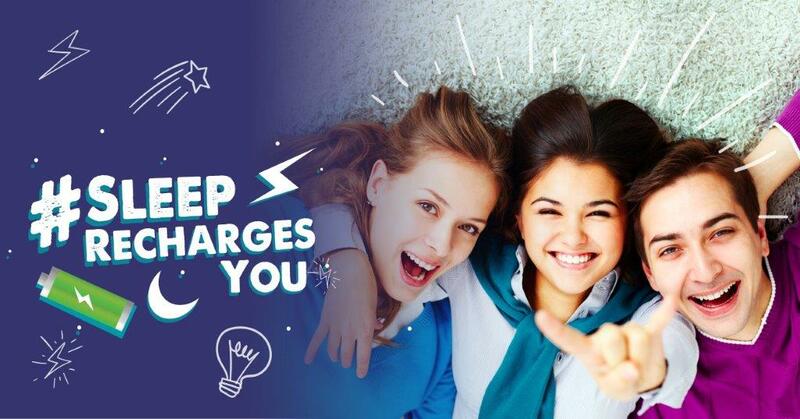 The #SleepRechargesYou campaign was driven by a 2016 study by the CDC showing that more than two-thirds of high school students are currently failing to get enough sleep. Our program goal was to increase the number of teenagers sleeping the recommended number of hours per night. Research has found that sleepy teens may fare worse in school than their well-rested peers, as teens who are sleep deprived may be more easily distracted and recall information more slowly. Sleeping fewer than the recommended hours also is associated with attention, behavior and learning problems. Additionally, lack of sleep may also impact teens’ athletic performance. When teens sleep, hormones are released that help them grow taller and develop muscles. Sleep also helps restore energy to the brain and body. The impact of sleep deprivation on teens, as well as key interests of teens, were taken into account when developing our program messages. We chose to communicate to teenagers about four areas in which sleep can improve daily life: beauty, sports, learning and health. Additionally, LCWA determined that the target audiences were not only teens themselves, but also their parents and the school administrators, coaches and health counselors who influence teen behavior. to convey to teens the importance of healthy sleep. Additionally, a we worked with a teen to advocate to her peers with several blog posts highlighting the importance of sleep. LCWA and AASM also collaborated to promote the “Sleep Recharges You” campaign via digital and social media advertising, promoting the benefits of healthy sleep directly via Facebook and Instagram. Banner ads also appeared on websites geared toward teens, such as TeenVogue.com, Seventeen.com and BroBible.com. LCWA and AASM targeted parents by announcing recommended sleep duration broken down by age group. These recommendations generated media stories in more than 1,000 outlets. We also distributed several releases highlighting the importance of sleep for teens and proactively pitched media with timely angles throughout the year. A mat release about the importance of teen sleep was disseminated to reach parents on a local level. To further convey the importance of this issue, we created blog posts from AASM spokespeople for HuffPost, Thrive Global and Sharecare. To reach educators, the AASM created an educator toolkit, offering lesson plans and a full-sized poster for classrooms on the importance of sleep. This was distributed in classrooms widely throughout the country, and LCWA helped generate awareness for the kit through outreach to associations and trade outlets. Overall, this well-rounded campaign garnered more than 763 million impressions and a media value of $3.5 million. There were more than 1.3 million impressions as a result of the digital and social media advertising campaigns, and the AASM received more than 1,400 poster requests from high schools throughout the country and Canada.